In 1952, a bad accident during a race convinces him to put an end to this passion. He buys his first camera and immediately feels a link between this object and his activity as a painter. He modifies his camera, creates a photography laboratory and chooses to use a contrasting paper from the very beginning of his work. His encounter with Giuseppe Cavalli allows him to enter a group of amateur photographers: MISA, made up of a few significant personalities: Piergiorgio Branzi (Italian), Alfredo Camisa (Italian), Silvio Pellegrini (Spanish). He goes back to the hospice where he goes on photographing for three years (Hospice life), while studying landscape and still life photography. In 1955, he is awarded the first prize at the national exhibition "Castelfranco Veneto". 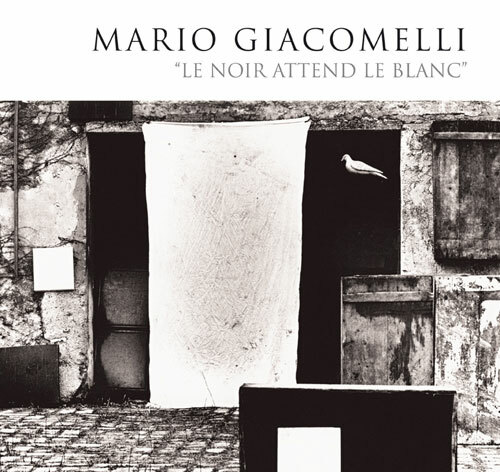 Giacomelli says “the most beautiful pictures are the ones, maybe, that we don’t take, because if we had taken them, we would have spoiled something”. He also takes short trips alone to Scanno, Peschici and Lourdes. 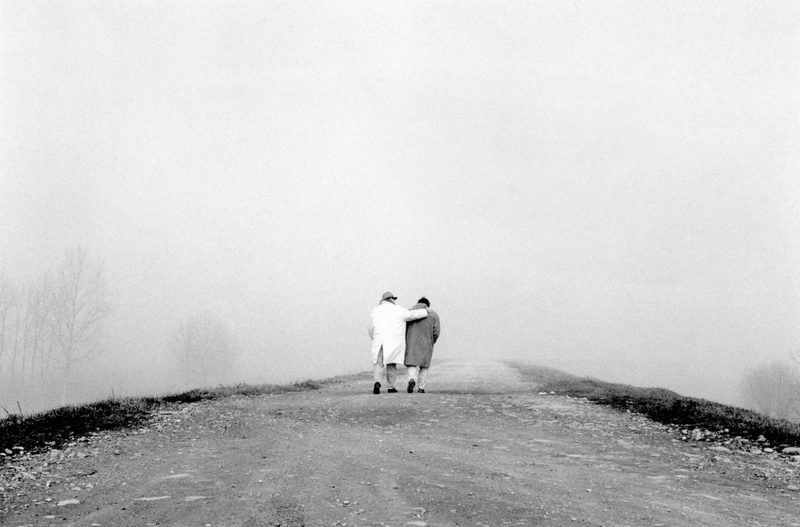 In the early 60’s, he meets Luigi Crocenzi, with whom he develops a mutual conception of narrative photography. 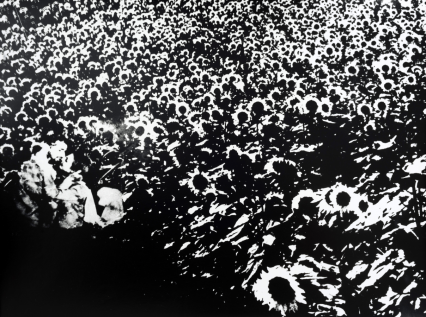 In 1963, John Szarkowski, director of the photography department at the MoMA in New York, buys Giacomelli's photographs of Scanno for the masters collection of international photography. One year later, he produces a new series of photographs devoted to the seasons and the land. Over th course of a year, the photographer keeps up with the life of a family of farmers, documenting it. He then goes back to the hospice and changes the title of his work: Death will come and have your eyes. He photographs cut down tree trunks in a search for abstraction and produces a series of color photographs: The Landscape project, which links photography to poetry and abstract painting. From 1969 to 1980, he focuses specifically on lyrical abstraction and produces various series. He continues working on lyric poems and on the Dream (tale). In 1997 he decorates the Italian coffee cups of the Illy collection. His inspirations are, among others, Pablo Picasso, Paul Klee, Osvaldo Licini, Giorgio Morandi, Robert Rauschenberg and Barnett Newman. The book Je ne fais pas le photographe, je ne sais pas le faire, published by Contrejour, was published in May 2016.